The need for healthy opioid alternatives remains essential. Daily pain affects nearly 11% of Americans, bringing it beyond the suffering of those close to us and well into the national spotlight. But it’s the personal connections that you likely understand on a deeper level. That kind of depth that often inspires positive change, and so the NeoRelief alternative pain relief product line was created for the formulator’s own father. 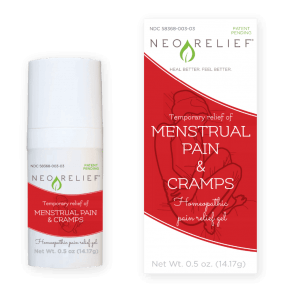 NeoRelief ingredients include active botanicals and minerals in the form of topical gels or creams that promote localized relief and healing, in contrast to pain relief options that may be addictive and include long-term side effects. In 2016, a record number of 42,000 deaths from opioid overdose occurred, as cited by the Center for Disease Control, underscoring the need for a national emphasis on pain management. Although opioid prescription rates declined to 58.7 prescriptions per 100 persons in 2017, after a peak of 81.3 prescriptions per 100 persons in 2012, there’s still a great deal of health outreach needed. Providing additional education on pain relief options, their ingredients, and their side effects is a must. Furthermore, ongoing allergies, heightened pain levels, and fluctuating energy levels confirm there’s still so much we all can do to work with our bodies instead of against them. Many oral pain relief alternatives contain chemical compounds that interact with receptors in the peripheral and central nervous systems or include nonsteroidal anti-inflammatory drugs with more widespread impact. 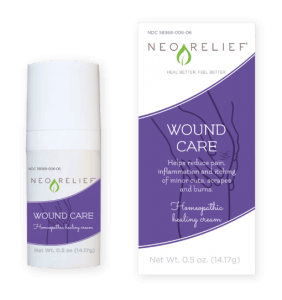 Alternatively, NeoRelief ingredients block nerve receptors through localized, topical pain relief that’s non-addictive and gentle on sensitive skin. Over-the-counter (OTC) products like NeoRelief ease burdens on the U.S. healthcare system by over 100 billion dollars annually. According to the U.S. Department of Commerce, OTC drugs are considered by regulators as safe for self-diagnosis and self-medication. Products like NeoRelief are listed with but not evaluated by the Food and Drug Administration. Nationally, there are about 100,000 OTC drug products marketed and sold. The Consumer Healthcare Products Association notes this expanding market is due to consumer trends toward self-medication, and increased conversions of prescription drugs to OTC varieties. 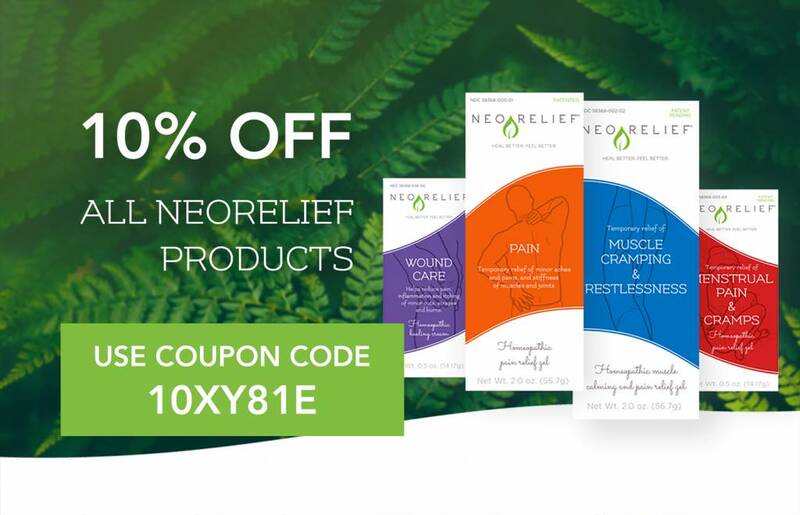 NeoRelief alternative pain relief products are available online and through retailers such as pharmacies, medical offices, chiropractors and community grocery stores. Gentle on sensitive skin, all NeoRelief formulas are 97% natural, non-addictive, and free of counterirritants, dyes, and perfumes. The product line includes four alternative pain relief product formulas for children and adults experiencing temporary to ongoing pain associated with the back, shoulders, joints, muscles, legs, menstrual cycle, and wounds.